South Asia is a rich and fascinating linguistic area, its many hundreds of languages from four major language families representing the distinctions of caste, class, profession, religion, and region. This comprehensive new volume presents an overview of the language situation in this vast subcontinent in a linguistic, historical and sociolinguistic context. An invaluable resource, it comprises authoritative contributions from leading international scholars within the fields of South Asian language and linguistics, historical linguistics, cultural studies and area studies. Topics covered include the ongoing linguistic processes, controversies, and implications of language modernization; the functions of South Asian languages within the legal system, media, cinema, and religion; language conflicts and politics, and Sanskrit and its long traditions of study and teaching. 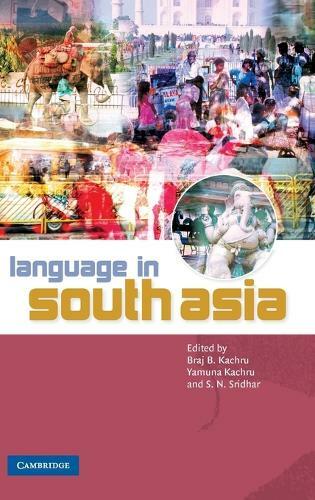 Language in South Asia is an accessible interdisciplinary book for students and scholars in sociolinguistics, multilingualism, language planning and South Asian studies.